Jim’s experience covers various combinations of ownership, directorship, CEO, and other senior management roles in some 25 unrelated industries. In his earlier years as an employee, he was one of the founders of the marketing division of the TD Bank and TD's Visa credit card program and served in senior marketing positions with other companies in Canada, Africa and Switzerland. Returning to Canada and determined to realize his dream of being an entrepreneur, he consulted in term lending and venture capital while seeking leveraged buyout opportunities in undermanaged companies. In each case, he identified the acquisition opportunity and suitable partners, arranged the financing, assumed the CEO position, found a buyer for the improved company, and negotiated the sale. Partners included individuals, institutions, and a Canadian Chartered Bank. During the last 15 years of his career, as leveraged buyouts became more expensive, he concentrated on acquiring and restructuring insolvent or troubled companies. Jim retired young and enjoyed 19 years in a small village in southern England. 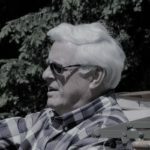 He now lives on Lake Muskoka, north of Toronto, where he enjoys wonderful sunsets, mentoring, volunteer board work, walking, kayaking, travelling, his guitar, his 4 grandchildren, and an interesting relationship with a 1930 Model A Ford Roadster.